The creation of the NASH Data Commons will provide a unified data system that promotes sharing of genomic and clinical data, forming the basis for a comprehensive knowledge system that centralises, standardises and makes accessible data. These datasets will lead to a much deeper understanding of which therapies are most effective for individual patients. With each new dataset added e.g. additional ‘omics’ data, it will evolve into a smarter, more comprehensive knowledge system that will foster important discoveries in chronic liver disease and increase the success of treatments for patients. What project is currently taking up most of your time? In February this year, we were awarded a £1.7M collaborative grant from Innovate UK for a ground-breaking project that could help develop new tests and treatments for patients with non-alcoholic fatty liver disease (NAFLD). NAFLD is an accumulation of excess fat in the liver of people who drink little or no alcohol, and is strongly linked to type II diabetes and obesity. The progressive form of NAFLD, known as non-alcoholic steatohepatitis (NASH), can lead to liver fibrosis, liver cancer and premature death. Around 25% of the population are thought to have NAFLD, so it’s a massive issue. To tackle the problem we need to get better at recognising the disease earlier and uncover some effective treatments, because currently there is no approved therapy. 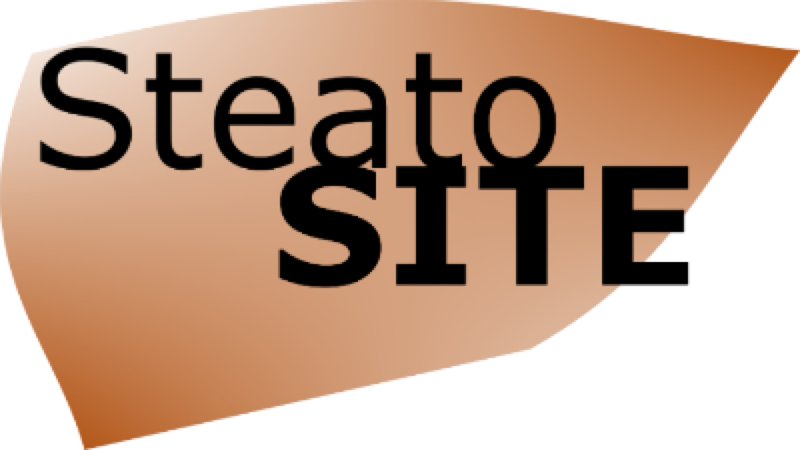 The grant funding is being used to develop a Data Commons, known as SteatoSITE. A Data Commons is a unified data system that allows sharing of genomic and clinical information from patients with NASH, making it more accessible for further research. SteatoSITE will be the world’s first Data Commons for NASH, and when complete it will lead to a deeper understanding of which tests and treatments are most effective for individual patients. We’re currently at the pilot stage. For SMS-IC, this involves preparing “libraries” from ribonucleic acid (RNA) that has been extracted from 59 samples of liver tissue from patients with NASH, which have come from the biorepositories in Glasgow and Edinburgh. These samples are a mixture of tissue taken from surgery and from fine needle biopsies. How has this process been going? The tissue samples we have are known as FFPE (Formalin-Fixed Paraffin-Embedded) samples – this means they are not fresh, they have been preserved. This can present some challenges as the preservation process can result in degradation of the RNA, resulting in shorter fragments than you might get from fresh tissue. Longer fragments generally give better results. Because of our expertise in working with difficult samples, we are in the process of tweaking our library process to overcome the issues associated with FFPE samples. The samples have had a lot of analysis done on them to allow us to see how intact the RNA is – we use a metric called DV200, which tells us the percentage of fragments which are less than 200 bases in length, as we know we won’t get great results from these. The best samples have about 70% of their RNA fragments above 200 bases in length. Anything with less than 30% of fragments above 200 bases in length is likely to be too degraded to be useful. What will this pilot study achieve? The pilot study will help us set our acceptance criteria for samples for the overall project. If we know that samples that have a certain level of degradation don’t produce good libraries, then it’s a waste of time including them. However, we want as many libraries as possible to make sure the cohort for the overall study is as big as it can be. The good news is that most of the samples in the pilot are giving us good yields, which is really encouraging. We will transport the pilot libraries to Edinburgh Genomics, who are a global leader in DNA sequencing and genomics based at the University of Edinburgh. They will carry out the sequencing part of the project – this is where they will look at the genomic information in each of the samples. Once they’ve done that, we’ll then get feedback on the quality of the sequencing, which will tell us if we’re ready to get started on the full-blown project, which will consist of 1000 tissue samples. There will be a lot of data to come out of that! This new data will be combined with information from digital pathology, clinical and electronic health records. It will help to pinpoint patients at high risk of disease progression and will speed up the development of new therapies. What strengths are SMS-IC bringing to this project? Firstly, we can access ethically sourced tissue samples from biorepositories right across Scotland. We have capabilities to prepare libraries which are suitable for sequencing, including working successfully with degraded FFPE samples. We can also build successful relationships and collaborations with world-class teams such as Edinburgh Genomics. Gemphire Therapeutics halts phase 2a trial in NAFALD. Gemphire Therapeutics is halting its phase 2a trial in pediatric nonalcoholic fatty liver disease (NAFLD) because some patients’ disease got worse. The trial started early this year, patients were dosed with 300 mg of gemcabene daily. The primary endpoint was a change in serum alanine transaminase (ALT), which is an an enzyme biomarker of liver function, after 12 weeks of treatment. Secondary endpoints included a change in hepatic steatosis, the buildup of fat in the liver. The first three patients that completed 12 weeks of treatment had an increase in liver fat content, as well as elevated ALT levels. The Problem. NASH stands for non-alcoholic steatohepatitis. It’s the worst form of non-alcoholic fatty liver disease (NAFLD). It’s where abnormal fat builds up in the liver. Over time NASH can lead to too much scarring in the liver (fibrosis). This is the body’s natural response to injury but it can lead to liver cirrhosis, liver cancer and premature death. NAFLD is a silent epidemic. At the moment, we just don’t have any approved medical treatments – but we’re working on a project which we hope will change this. Remarkably, best estimates say that 25% of the world’s population has NAFLD. It’s strongly linked to obesity and type-2 diabetes. Chronic liver disease (increasingly due to NAFLD) is now the 3rd most common cause of premature death in the UK. By 2020 we expect that NASH will be the main reason for liver transplants. Spotting the signs of the disease early and having effective treatment is urgently needed to cut deaths. This disease has an economic burden too – in Germany, France, Italy, and the UK combined, there are around 52 million people with NAFLD, costing €35 billion every year. So, what can be done? I’m the Chief Investigator of a team, managed by the Stratified Medicine Scotland Innovation Centre and led by industry partners Eagle Genomics. We’re developing a ground-breaking project to develop new tests and treatments for people with NASH. The project also has the Universities of Edinburgh and Glasgow and NHS Scotland as partners. The team recently got a £1.7 million research grant from Innovate UK (the UK’s innovation agency) to develop a Data Commons for NASH – a world first. A Data Commons brings together data, storage and computing systems. It’s a widely used tool for analysing and sharing data to create a resource for a wide range of users including the research community and clinicians – and potentially patients and charities too. As more health data is added, our NASH Data Commons will evolve into a smarter, more comprehensive knowledge system that will be used to make new discoveries to understand and treat this disease better. It will help us to develop and validate new tests for NASH, and to identify patients who will get the most benefit from new therapies. We’re calling it SteatoSITE. Where do you fit in? This exciting project (and future research following on from it) will benefit hugely from members of the public getting their say. The NHS and Government want to prioritise this type of digital health and ways of analysing it (for example, using artificial intelligence), but there are ethical, legal, and social implications about accessing, storing and using people’s health data. We want to get people’s views on the way we’ll use health data and our methods of keeping it secure. We also want help to find the best ways to publicise our research and to make sure that users with varying levels of expertise can all make best use of SteatoSITE. We want to get a small (3-5 people) non-expert focus group together face-to-face to talk about the broad aspects of the project (for about 2 hours). Then we plan to get the group back together after 1 year and also at the end of the 2-year project to discuss progress, issues arising, and next steps. Interested? We’ll give you back any reasonable travel expenses and you’ll also get a £20 Amazon voucher to say thank you. NASH is an acronym that stands for Non-Alcoholic SteatoHepatitis. It is the most severe form of non-alcoholic fatty liver disease (NAFLD), and is characterized by the presence of an abnormal accumulation of fat in the liver. As NASH evolves, over time it can result in excessive scarring in the liver (fibrosis), a natural response to injury which can lead to liver cirrhosis or liver cancer. This video by by The NASH Education Program describes why NASH is becoming a public Health Issue. An interview in the Scotsman newspaper with Dr Diane Harbison , CEO of the Stratified Medicine Scotland Innovation Centre on why Scotland is an ideal location to develop a “cluster” of precision medicine companies. It has a small, stable population, a single unified health system, world-renowned universities, some of the best health data in the world, not to mention a high incidence of complex disease – all the right ingredients for making new discoveries in precision medicine.